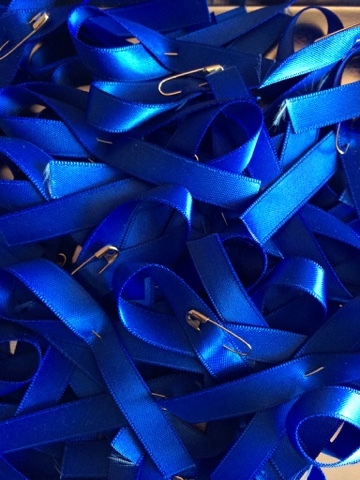 Once again I’ve been busy making up blue ribbons for M.E. Awareness week. This year it’s from 11th-17th May but by all means feel free to wear your ribbons all year round! I’ve decided to sell them through eBay so that I can get a little bit of help with covering postage costs. I hope you won’t mind. Who knew second class stamps had gone up to 57p!?!? If you don’t have an eBay account but would like a blue ribbon just get in touch with me via one of my social media accounts or use the contact form of the right hand side of this page.